Unreal Lawns supply and install artificial grass in Rochdale and the north west of England. We serve domestic and commercial customers in the area, with products suitable for a wide range of applications from outdoor spaces and gardens, to event areas, exhibition space and more. See below for some examples of projects we've carried out in the Rochdale area. 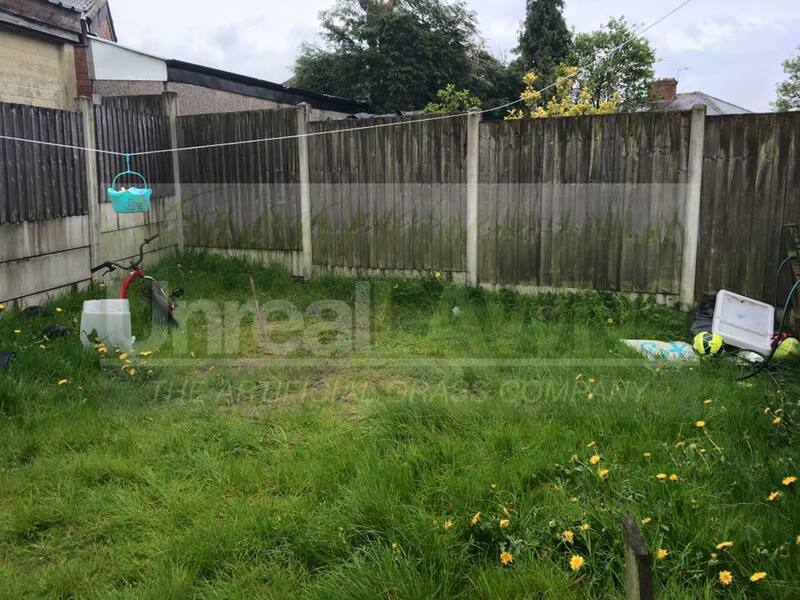 Unreal Lawns completed a job for home owners in Rochdale who have 5 small but very playful and energetic dogs, who like nothing better than to run around in the garden with each other. The problem was, with the cold and damp weather, they were constantly tearing up the grass and then trampling the mud and dirt back into the home. The customer had contacted a few artificial grass companies in the Greater Manchester area but chose our supreme grass product as they felt it had a softer feel to it compared to other samples that they had received. They were very happy with the outcome, and as a result have recommended us to the rest of the new housing estate on which they live. 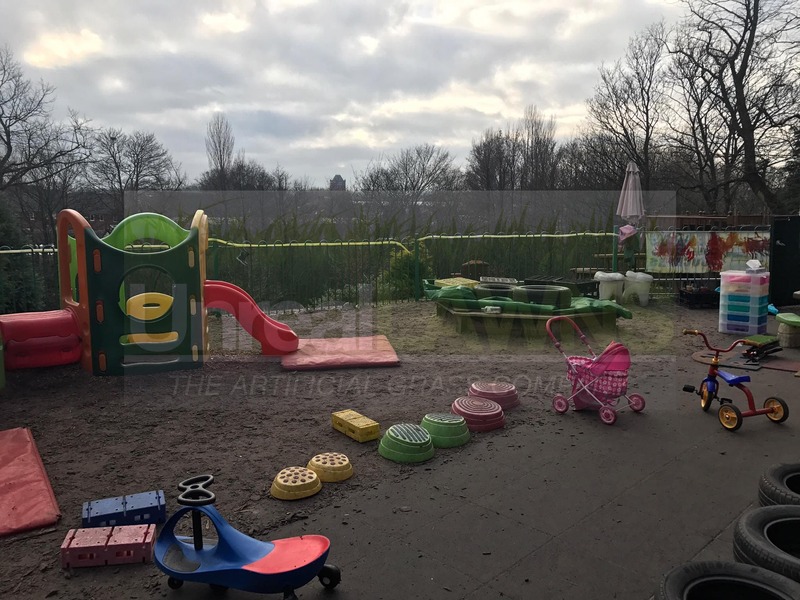 Unreal Lawns were contacted by a nursery school in Heywood, Rochdale who required the installation of artificial grass in their children’s play area. The previous play area had a bark surface, which had all turned to mush. It was not suitable for use by the children as it was muddy and hazardous. We installed our artificial grass in its place to transform the play area. As you can see from the photos, the play area looks much more inviting now. The artificial grass provides a clean and safe space for the children to play, without the need for them to put their wellies on first! Unreal Lawns visited this back garden in Milnrow, Rochdale to transform the space using our artificial grass. 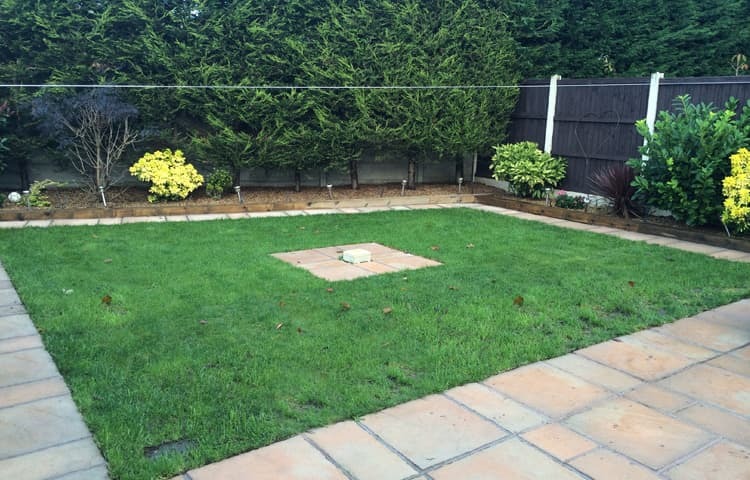 The previous lawn had become very overgrown and patchy, and was being used more as a dumping ground than a garden. We installed our Supreme 38mm artificial grass in its place as well as an Indian stone path. The finished result is a neat and tidy space that is pleasant to spend time in as a family, or for the kids to play in. The customer was delighted with our work, and happy that they wouldn’t need to maintain the lawn to keep it looking this good. 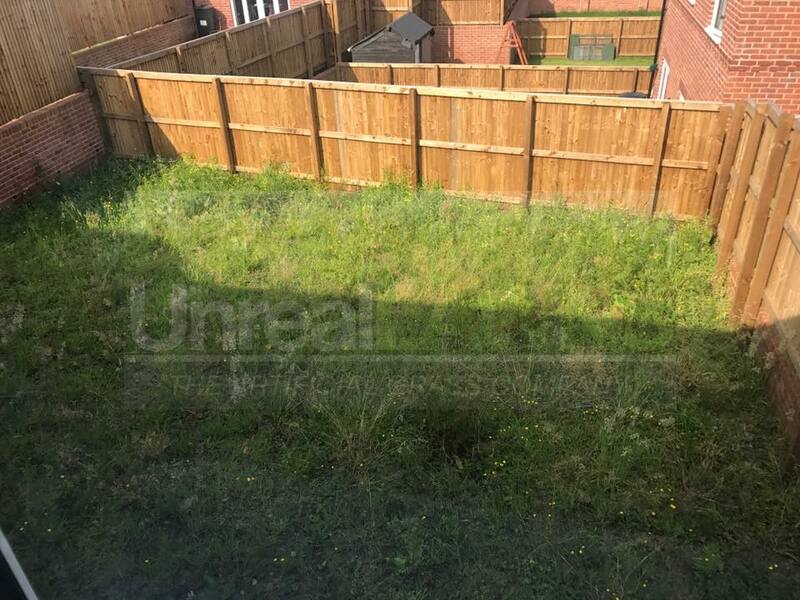 Unreal Lawns were contacted by a customer in Rochdale who had bought a new build home that was supplied without a turfed garden. The garden had become overrun with weeds, and as they were a family with children, they wanted to go for an artificial lawn. We installed our artificial grass, as well as extending the patio area with matching paving and creating a shed base area. The stone contrasts really nicely with the green turf. The family were very happy with the transformation and pleased with their new low maintenance garden.